This is my first homework in the new Sketchbook skool course storytelling. 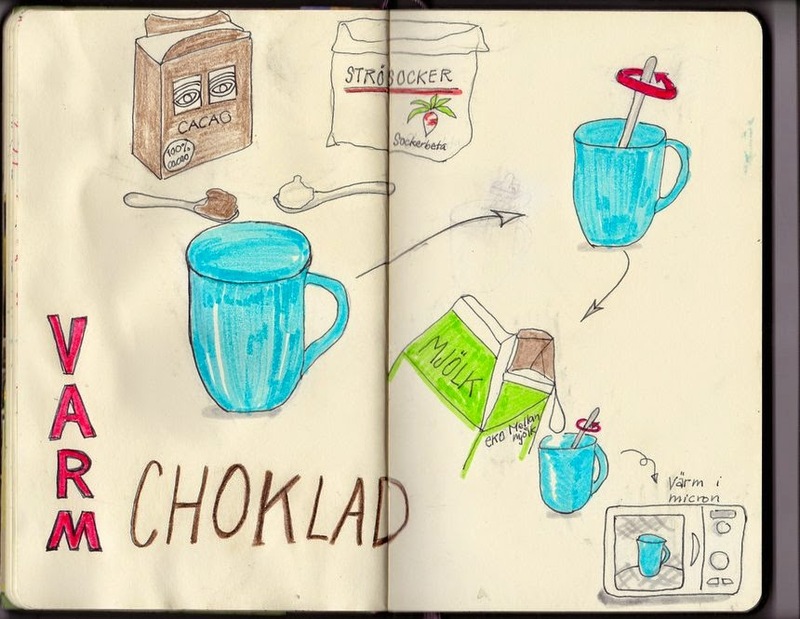 It is an illustrated recipe of how to make hot chocolate. Not a very complicated recipe but never the less it took me some time to draw it. To illustrate a more advanced dish will take me quite some time.